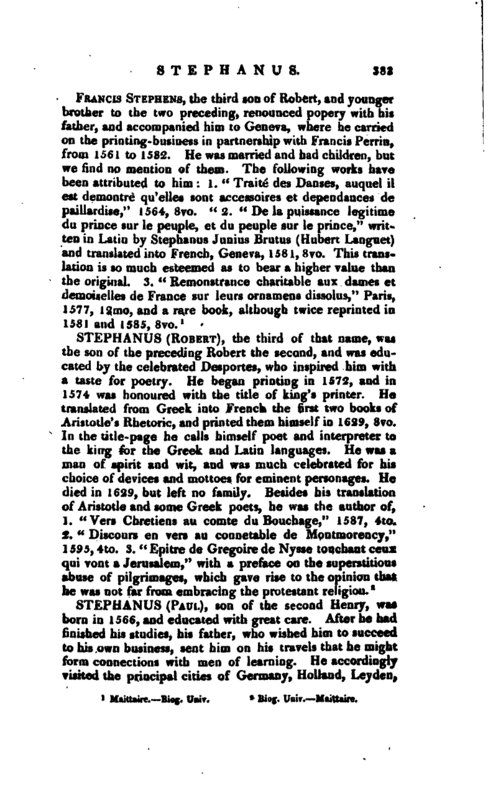 , the second of that name, and brother to the preceding, was born at Paris in 1530. Remaining attached to the Roman catholic religion, he refused to accompany his father when he went to Geneva, on which account his father disinherited him; but by his talents and labours he was soon enabled to provide for himself. From 1556 he had a printing-office with many founts of beautiful types, as we may see from his edition of Despauter’s “Rudimenta,” the first book he printed. William Morel was his partner in the publication of some works, and among the rest an Anacreon, prepared for the press by his brother Henry. It is thought that he obtained the brevet of king’s printer after the death of his father, but we do not find that he assumed the title before 1561. 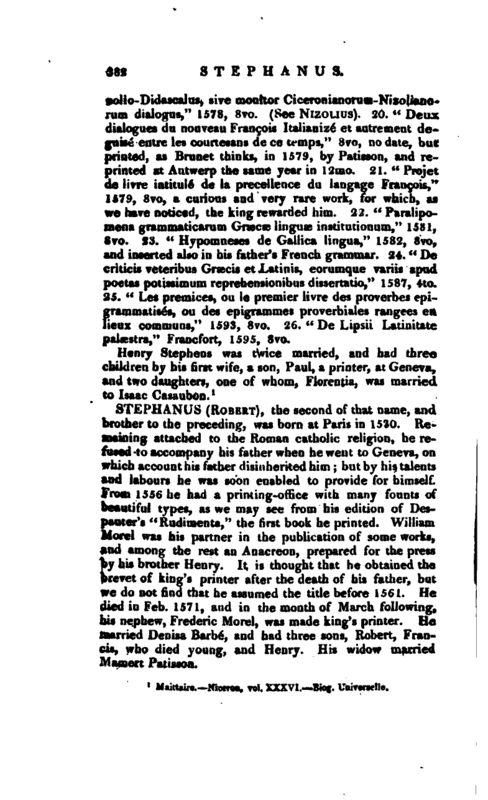 He died in Feb. 1571, and in the month of March following, his nephew, Frederic Morel, was made king’s printer. He married Denisa Barbe, and had three sons, Robert, Francis, who died young, and Henry. His widow married Mauiert Patisson.